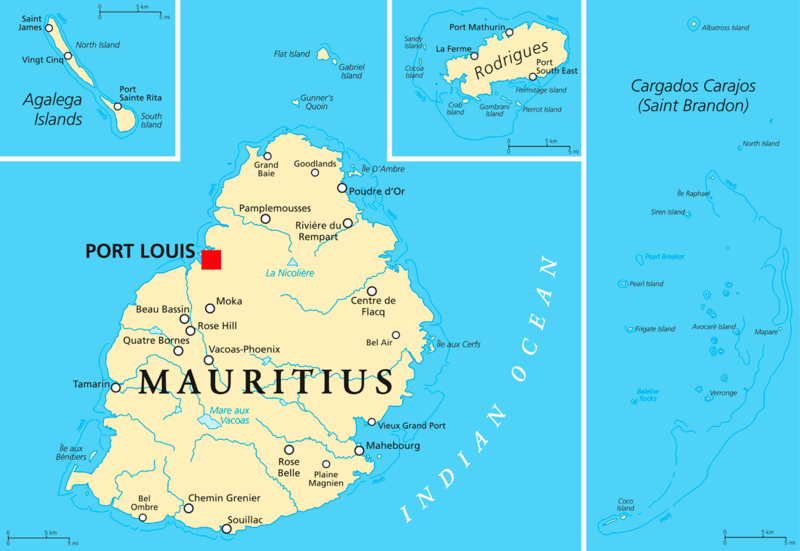 Mauritius is a favourite destination for honeymooners, and popular too after a safari. 500 miles east of Madagascar, it is surrounded by spectacular coral reefs in the clear waters of the Indian Ocean, where iridescent fish swim in coastal lagoons fringed with palm trees. Independent since 1968, Indians, Muslims, French and Chinese live harmoniously together, and as a result, the gastronomic delights are diverse. There is a wide choice of hotels, from the simple to the smart. Sports such as water-skiing, snorkelling, tennis and golf are often included in the tariff, but diving, which is excellent in the coral gardens, is extra. Venture inland to enjoy the botanical delights of Pamplemousses, and the colourful market, in Port Louis, the capital, named after Louis XV. Or visit the Domaine des Pailles sugar estate which is a centre of Mauritian heritage. Black River Gorge and Tamarind Falls are good walks for the energetic.